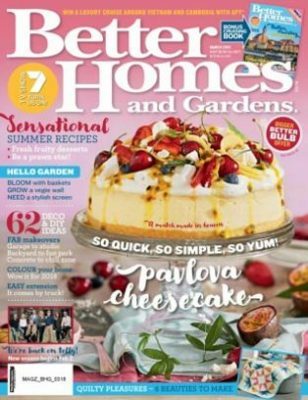 Free Subscription to Better Homes & Gardens–Click here to being your complimentary subscription to Better Homes & Gardens, courtesy of Mercury Magazines. Available for a limited time, while supplies last. Free Sample of Dunkin’ Donuts Coffee-If you would like to try making Dunkin’ Donuts Coffee at home, click here to see if you qualify for a free sample (ground or k-cups). Not valid in AK, HI, ID, MT, ND, OR, SD, WA and WY. Free Subscription to Real Simple Magazine–Click here to take a survey and redeem your points for a free magazine subscription to Real Simple Magazine! Available for a limited time, while supplies last. Free Doritos Locos Taco at Taco Bell-This offer is for today only! Get a free Doritos Locos Taco with the Taco Bell app. Just download, login and look for the free Doritos Locos Taco order in the “Offers” Section. Just use the app to order your free Taco for pickup! Free $10 Store Credit at Lane Bryant via Text-Text TRENDY to 552255 to get a code good for $10 off a Lane Bryant in store purchase with no minimum. This offer is only valid through January 17. Free Sample of pawTree pawPairings Superfood Seasoning for Pets-Why should pet food be bland? Get a free sample pack of pawTree pawPairings Superfood Seasoning for your pets! Scroll down to click “Yes, Please” on the sample offer and submit the form for your free pawTree pawPairings Superfood Seasoning! Free Olay Sample Bundle-Available again! Click here and fill in the form to get your free samples of Olay Whips, Olay Deep Hydrating Eye Gel & Olay Daily Facial Cleansing Cloths! This is a popular sample so don’t miss it. Free Sample of UVO Skin-Enhancing Multivitamin Drink Mix (Facebook required)- Get a free sample of UVO Skin-Enhancing Multivitamin Drink Mix by sending your request via Facebook Messenger and including your mailing address. Free Samples of Beast Sports Supplements–Fill in the linked form to request your free Beast Sports Supplement samples. Available for a limited time, while supplies last. Free Simple Truth Ready to Drink Coffee at Kroger-This Friday, 1/18/19, you can download an ecoupon to redeem by 2/3/19 for a free Simple Truth Ready to Drink Coffee from Kroger. Free Sample of Turncoat Creamery Craft Soap-This is a great freebie! Fill in the form to get a free Turncoat Creamery Craft Soap Sample. Available for a limited time, while supplies last. Free Sacred Life Lavender Essential Oil Roll-On–First click here to join the Rewards Program, set up your account and wait for the follow up email. The email will say “You Just Earned 250 Stars”. You can then redeem the code for your free Lavender Roll-on with no shipping cost! Available for a limited time, while supplies last.